OMG India is the top leading provider of fully featured and Complete-control White Label Reseller Email Marketing for Agencies in Delhi India as well as abroad. 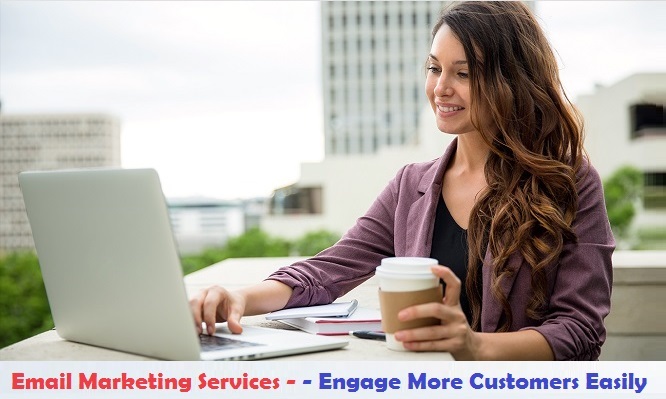 We offer you to fully resistor of your customers of email marketing and generate more revenue for your company with OMG India's White Label Reseller Email Marketing Program. White Label email application allows you to offer an inexpensive, economical, fully introduced email platform that you have wide-ranging control over. You do not need to think about what's happening behind the scenes. We take care of elevations, uptime, and deliverability of each and every campaign run by you. Completely browser based, lifetime license, No "powered by" link in your emails, Runs on YOUR web server, 100% unencrypted PHP code, Private label in 10 minutes, Hundreds of Customizable templates, Step-by-step campaign wizard, Powerful XML-based API, Full campaign statistics, Google Analytics integration, Automatic bounced email processing, Full WYSIWYG campaign editing, Easily import/export contacts, Built-in CRM functionality and many more. OMG India's email marketing application is built on latest technology that offer you Email Design Features like - Email Templates, Easy WYSIWYG Editing, Email Personalization, Upload or Import Content, Popup and Inbox Previews, Advanced HTML Editing, Design Once, Please Many, Design Once, Please Many, RSS Archive of Sent Emails, Easily Upload Images and Anchor Links. It also Offers Email Campaign Features like - Easy, Automatic Unsubscribes, Free, Built-In Spam Checking, Dynamic Content Blocks, Campaign Optimization Tips, Forward to a Friend Link, Automatic Inbox Preview, Automatic Bounce Handling, No Duplicate Emails - Ever, HTML, Text or Both (Multipart), Upload & Send Attachments, Send Now or Later, HTML, Text or Both (Multipart), Embed Images As Attachments, Send to Multiple Lists at Once and Pause & Resume Sending. Statistics & Reporting Features like - Email Open Statistics, Link Click Tracking, Google Analytics Integration, Email Bounce Processing, Unsubscribe Tools Contact Management Features like - Full List Organization, Create Multiple Contact Lists, One-Click Unsubscribe Links, Add or Import Contacts, Commanding List Segmentation, Unlimited Custom Fields, Modify Subscription Details, Customizable Contact Views and Bulk Remove Contacts Spam Submission Features like - One Click Unsubscribes, Double Opt-In Confirmation, Automatic Bounce Handling and "Do Not Mail" List. Reseller Branding Features like - 100% Private Label application, Per User SMTP Server Settings, Per User Statistics, Multiple User Accounts, Integration With SMTP Server, 250 Page User Guide, Email Speed Controlling, Open Source PHP Code, 500+ How To Guides, Per User Built-in Email Templates, Integrated XML API and Control Scheduled Tasks. Resellers Interface - Email marketing tools for Small Business ! Resell and profit using our White Label Email Marketing solution !